SKU: SKGWSB. Category: Apparel. 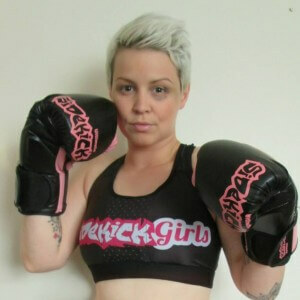 Tags: Female Fight Wear, Ladies Grappling Top, Sports Bra, Training Bra. Our ladies sports bra is made from high quality materials and stitched with precision to ensure maximum comfort and to prevent from wear and tear. The sports bra can be used for a number of sports and activities, including martial arts, running, jiu jitsu etc. The sports bra is perfect if you want comfort whilst doing physical activities. A nice tight fit makes sure everything stays in place and stops your from getting a rash as opposed to a normal bra. This item is highly recommended by our female customers and is one of our best sellers to date. Not only does it have a great design but it’s also easily affordable and is great value for money.